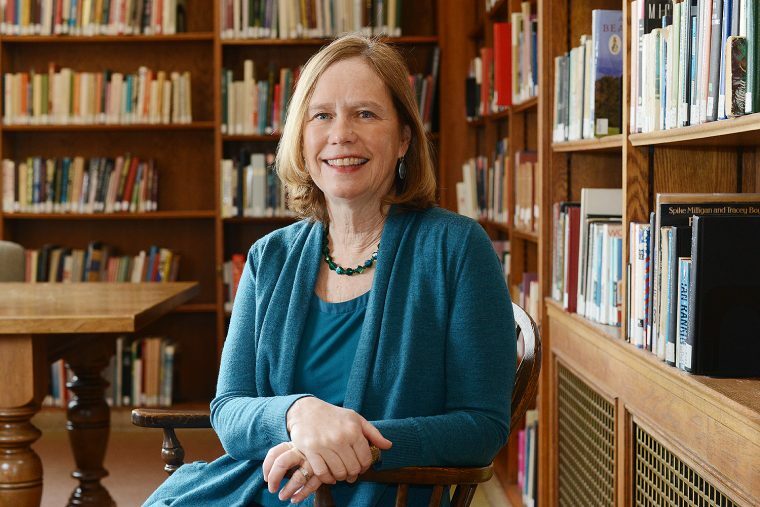 At the University’s 187th Commencement on May 26, Wesleyan will present the Baldwin Medal, the highest award of the Alumni Association, to Barbara-Jan Wilson. For over 36 years, Wilson has been a stalwart in the Wesleyan administration and a driving force behind the University’s fundraising efforts. Beginning at Wesleyan in 1982 as the director of Career Planning, she moved on to serve as dean of Admission and Financial Aid in 1990, and then as vice president of University Relations from 1999 to 2018. Throughout that time, Wilson has been one of the University’s biggest champions and cheerleaders, boldly and convincingly making the case for the value of a Wesleyan education and the importance of giving back to the institution. The Baldwin Medal pays tribute to the late Judge Raymond E. Baldwin of the Class of 1916 and recognizes outstanding service to Wesleyan. Wilson’s outstanding service has taken many forms. Most notably, she worked with President Michael Roth ’78 on the $482 million THIS IS WHY campaign, as well as with President Emeritus Douglas Bennet ’59, P’87, ’94, Hon. ’94 on a campaign that raised $281 million. All told, the University raised more money under her leadership than under all its previous fundraising chiefs combined and established more than 250 endowed scholarships during her tenure. A lifelong resident of Connecticut, Wilson grew up in Milford and received her BA and MA in English from the University of Connecticut. Her passion for Wesleyan and her family and friends is only matched (or occasionally exceeded) by her New York Yankees, New England Patriots, and Wesleyan Cardinals fandom. In retirement, she will be joining the board of trustees at Colby-Sawyer College in New London, New Hampshire. A list of past Baldwin Medal recipients is available online.